Curtis W. (Curt) Sumner Curtis W. (Curt) Sumner is the Executive Director of the National Society of Professional Surveyors (NSPS), serving the interests of professional surveyors nationwide, and internationally. A longtime NSPS activist, he served on its Board of Governors (representing Virginia) from 1987-1994 (Chair 1993 and 1994); progressed through the NSPS officer chairs, serving as President in 1997. In mid-year 1998, he took on the roll of Executive Director of NSPS (as well as Executive Director for its then-parent organization, ACSM). ACSM was merged into NSPS in 2012. Mr. Sumner is an invited presenter and keynote speaker throughout the U. S., and his articles routinely appear in many national and state publications. He worked in the private sector as a licensed professional surveyor in Virginia and Maryland from 1980 through 2000, including being owner of Sumner Consulting. NSPS is….. The recognized national voice of the surveying professional. Continually seeking to respond to the challenges presented by new technologies, government, and industry activities by providing a forum for its members to use their expertise and knowledge to confront those interests that are common al all surveyors. Responsible for the evaluation of surveying related educational programs in colleges and universities seeking to establish or renew accreditation through ABET. The organization that provides the surveying perspective on matters of collective interest through coalitions, and membership in organizations representing geospatial professionals. A partner with the American Land Title Association in the adoption and promulgation of the ALTA/ACSM Land Title Survey Requirements. A conduit for input from the National Association of County Surveyors, National Council of Examiners for Engineering and Surveying (NCEES), and the State Surveying Society Executives Council. 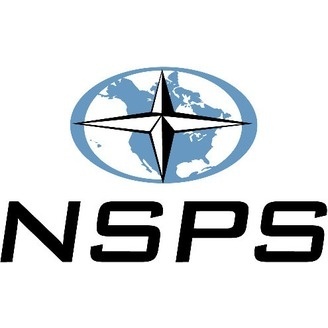 The NSPS holds spring and fall business meetings, and sometimes these meetings are held in conjunction with a conference held in conjunction with other organizations. Contact information for Curtis Sumner is 240-439-4615, ext. 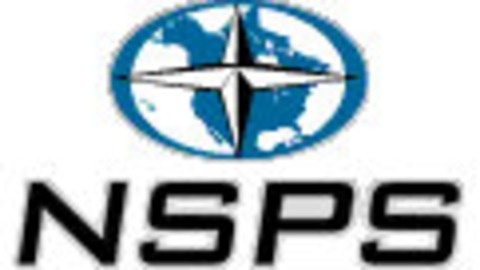 106 or curtis.sumner@nsps.us.com. Coming Shows! Your Sponsors of the NSPS Radio Hour. Join host Curt Sumner for a conversation with Vasileios "Vas" Kalogirou about his path to becoming a licensed Surveyor in five (5) states, including working with his Mom, a Surveyor. They will also discuss Vas's current work and his perspective on the importance of Surveyors working together, especially during a time when the number of Surveyors seems to be diminishing.